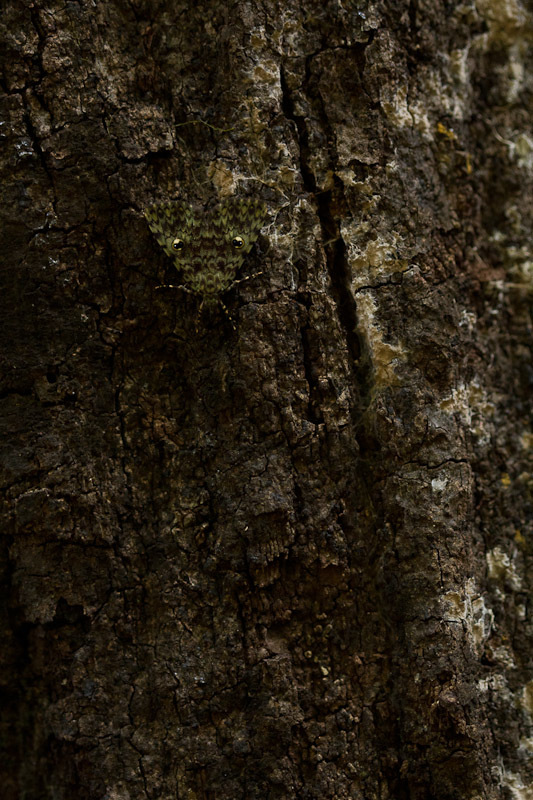 Can you spot the critter hidden on the side of this tree? This is a natural light photo and under the forest canopy it really was dark as shown here. I bet someone’s gonna go into families and all sorts but that won’t be me! Nope, nothing else but the moth (that I’m aware of!). This is an easy one~ a moth headed downward at the upper left of the pic. I wonder what does it look like when the wings are open ? I didn’t get to see it with its wings spread. I spooked it off before I got all the shots I really wanted.